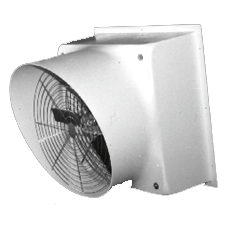 The 12-in panel fan (without hood) expels foul air from buildings. 1/6 hp, variable speed, 1762 CFM. Totally enclosed, thermally protected auto reset heavy-duty motors have sealed pre-lubricated ball bearings. Motor is dual voltage (120 and 240 VAC). Quiet running polypropylene fan propellers have replaceable blades. The polypropylene propellers stay cleaner than other manufacturers, and they are perfectly balanced. Nickel plated motor mounts have a radial design for less air restriction. The motor mounts also serve as a rear blade safety guard. 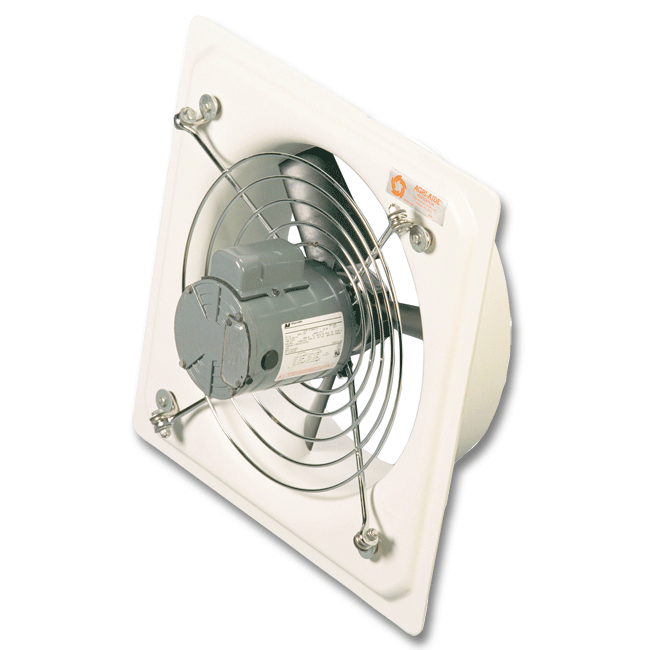 Osborne RTM-Glas fiberglass orifice housings are rigid and will not warp or heat-sag like cheaper poly housings, even after years of operation. 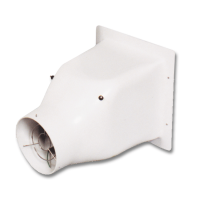 Agri-Aide housings maintain a perfect orifice for the propeller. The rugged design is impact resistant and can be easily cleaned, providing a lifetime of service. Easily disassembled for cleaning and maintenance. Contact Osborne for a shipping quote.